Lazar graduated from Newcastle University with a bachelor's degree in computer science in 2018, and earlier, from Geo Milev FLHS in Dobrich in 2014. His BEST journey began in 2013 as a debate competitor. In the five years since, he has also been an intern (unofficially), Alumni Relations Coordinator, Webmaster, Translation Coordinator, and Board of Directors member, while also dabbling in Tournament Logistics. As a relatively recent high school student, the closest he's been able to get to putting a finger on why students love BEST is this: BEST addresses a glaring gap in the Bulgarian education system. Students need a community which they choose, one with which they identify, and one to which they belong. Faith Brown was born in West Virginia, moved extensively up and down the east coast with her family, and has since settled in northeast Georgia. She has an extremely large family consisting of five brothers, two sisters, five nieces, and two nephews. She graduated from the University of North Georgia with a B.A. in communications, where she also conducted undergraduate research in the field of public relations. During her first year teaching in Haskovo she fell in love with BEST and the passion and creativity it evoked in her students. Faith has been inspired by all of the hardworking and dedicated people in the BEST community, and cannot wait to contribute to the greater good that is BEST. As a second year Fulbright English Teaching Assistant, Faith will also begin teaching English at the 119th Secondary School Mihail Arnaudov in Sofia starting in September. In her free time she enjoys reading, kayaking, making people laugh, and pretending she knows how to sing and dance. BEST became a part of Danny's life in 2013 when he participated in the first annual BFL Tournament. Once out of high school he could no longer compete, so he took up the next best thing – judging. Now that Danny has graduated from the National Theatre and Film Academy with a B.A. in animation, he has more time to sketch and draw, travel, and build hides for his pet snake. He believes that BEST brings out hidden talents and provides a platform for the youth of Bulgaria to send a message to their peers which, in its essence, is the art of self-expression. Last year, Dayana's desire to stay involved with BEST made her an intern. This year, her passion for continuing the positive change across the nation made her BEST’s Translation Coordinator! She is a second year political science and international relations student in the Netherlands, where she lives and loves to bike around. Dayana wants to be a part of furthering BEST's mission of empowering students through speech, and to encourage more kids to participate, because she will always remember how much BEST helped her become the person she is living up to be. Other than that, she loves to explore, travel, and enjoy good food. Keegan Scott is excited to be this year’s Student Leader Liaison! Originally from Delta, Ohio, Keegan graduated with a B.A. in international studies at The Ohio State University where he also studied Arabic and Turkish. As a second year Fulbright English Teaching Assistant, Keegan will continue teaching at the Professional High School of Energy and Electrical Studies in Galabovo, Stara Zagora Province. Outside of being inspired by his BEST Student Leaders, he enjoys speaking in English and other languages, eating lyutenitsa, chatting with his two younger sisters, watching The Handmaid’s Tale, and dancing the evening away! Nathan Jacobson hails from the wonderfully flat Midwest. Growing up in Minnesota and North Dakota, he attended Drake University in Des Moines, Iowa, where he graduated with a B.A. in religion (if you ever want to chat about human existence or theological schools of thought, Nathan is your person). Last year, Nathan taught at PMG Yane Sandanski in Gotse Delchev, where he had the pleasure of starting a new BEST team. He quickly fell in love with BEST, especially when it came to working with his phenomenal students. When he's not doing things with BEST, Nathan loves reading memoirs, hiking the mountains near Gotse Delchev, singing too loudly, and rewatching The Office or Parks and Recreation for the hundredth time. He is extremely excited to be on the Management Team and give back to such a wonderful organization. Tajia Moertle was born in Fort Worth, Texas, and then moved 28 times after that, so she does not call one place home. She attended Arizona State University where she received a B.A. in English literature. While she was there, she stumbled across a program that would certify her in teaching English to non-native English speakers and fell in love with the idea of becoming an international educator. Participating in the Fulbright program seemed like an obvious choice on her path of becoming an overseas teacher, and she happily accepted the position at Romain Rolland Foreign Language High School in Stara Zagora. BEST was Tajia's first experience with speech and debate, and she was terrified. However, she quickly realized what an amazing organization BEST was. When the opportunity came around, she just knew she wanted to be a part of the management team and become further involved in the organization. In her free time Tajia enjoys reading, listening to music, and binge watching shows on Netflix. Thomas Petrino grew up in southwest Washington state, in a town where dairy cows probably outnumber human beings. He was a member of his high school’s FFA chapter, which is where he was first convinced of the potential for public speaking to empower people and motivate social change. He graduated in 2017 with a B.A. in political science from Coe College, where he also worked as a consultant at the campus’s Speaking Center. Thomas is thrilled to teach for a second year at Geo Milev Foreign Language High School in Dobrich and to serve as BEST’s Judges Coordinator. Coaching the BEST team in Dobrich has been one of the most rewarding experiences of his life: he still gets goosebumps when his students perform! In his spare time, he loves to go for long walks, watch and discuss TV, and eat as much Mexican food as he can get. Bozhidar was born and raised in the lovely sea capital of Varna, Bulgaria. He first got a taste of BEST in 2016, at his first tournament in Shumen where he had a blast! Absolutely every person he met was filled with so much positive energy, so he clearly had to do something to help out. He became a Student Ambassador for his school during the 2016-2017 school year, and met even more wonderful people. He was accepted as an intern at the end of the year! BEST has really had a positive impact on Bozhidar emotionally as well as professionally, as he can use and improve his translation skills to help out this growing community. His participation in BEST has helped him overcome classic fears like public speaking, team management, and basic social interaction. Bozhidar is looking forward to helping BEST in the every way possible and developing his career plans. Gery is a twelfth grade student at Second English Language School in Sofia. In her free time, she likes to argue with people, and her passion for winning arguments helped motivate her to become a part of the BEST family. In ten years, Gery sees herself either as a billionaire or a homeless filmmaker, living under a bridge. Gery wants to make meaningful movies that send a message to society, and she is absolutely sure that documenting the BEST experience will fulfill her artistic needs. Hristina first started going to BEST tournaments in 2014 when she was in eighth grade. Back then she was a passionate debater, but since then, she found all the other disciplines fascinating and competed in all of them. Her favourite one remains Duo, with its variety of rules that make it both hard and interesting (plus she had the most amazing partner). Now, as she has graduated high school and is heading to the New Bulgarian University to study psychology, she couldn't leave the community she loves so much and chose to come back for more. She wanted to work with Student Leaders because she loves working with people and is amazed by the excitement and hard work of students. She is particularly suited for the job due to her affinity for chasing people about missed deadlines. In her free time she sponsors BDZ through taking spontaneous trips here and there. She also enjoys singing, writing poetry, photography, memes, and being way too excited at concerts. Nikolay is from the small town of Montana where he has lived since the day he was born. He has studied in an intensive English language class at FLHS Peter Bogdan for the past several years, where he started his BEST experience. The people responsible for his introduction to BEST and development were Anna Fuselier and Reid Furubayashi, to whom he is very thankful. He started competing in late 2014, and after only a year he won his first trophy. Not long after he achieved that, he realized that BEST is not all about winning, it is about the community which builds you up. He wants to be part of the MT because BEST changed his life, and he wants to help the organisation give a platform to more students to express themselves. Juliana Wilhoit is a native of the Chicago area, and a lover of shopska salata, banitsa, and the Black Sea. She has been involved in speech and debate in a variety of forms since she was in seventh grade. She credits much of her success in life to finding an avenue in which she could succeed. During the 2012-2013 school year she was an English Teacher at the Fifth Language School in Varna. Juliana holds a Master’s in Urban Planning from the University of Illinois at Urbana-Champaign and currently works for a research institution conducting urban security research. Anna Fuselier is the Vice-Chair of the Board of Directors. Anna began her time in Bulgaria as a Fulbright English Teaching Assistant in Montana in 2014, where she founded and coached a BEST team. After seeing the impact of BEST first hand, Anna moved to Sofia and went on to serve as Managing Director the following year, eventually joining the Board of Directors in 2017 out of a desire to continue to facilitate BEST’s growth. Anna has a Bachelor’s degree in International Affairs with a specialization in International Development from George Washington University. Anna presently teaches 7th and 8th grade in Cincinnati, Ohio. Alex Kieselstein was a two-year Fulbright ETA and BEST Coach at Second English Language School in Sofia. He is currently a second-year law student at the University of Chicago. Athena Lao helps manage the Fulbright Program for South and Central Asia at the Institute of International Education. She holds an A.B. in Classics from Harvard University and an M.S.Ed. in International Educational Development from the University of Pennsylvania Graduate School of Education. Athena served as a Fulbright English Teaching Assistant for 3 years at Ezikova Gimnazia “Akademik Lyudmil Stoyanov” in Blagoevgrad, Bulgaria. During that time, she co-founded BEST with five other Fulbright ETAs and started her school’s award-winning English language speech and debate team. She served as the first Chair of the BEST Board of Directors from 2015-2017. Athena loves the enthusiasm of BESTies, speech and debate, Bulgarian cuisine, and a good horo. Reid Furubayashi graduated from Claremont McKenna College with a B.A. in Philosophy, Politics and Economics (PPE). Guided by his interest in education, he touched down in Montana, Bulgaria as a Fulbright English Teaching Assistant and Speech and Debate coach for the 2015-16 academic year. His love for the country kept him in Bulgaria for a second year, this time as Assistant Director for the BEST Foundation. As a former Speech and Debate competitor himself, Reid wholeheartedly believes in the creativity and confidence that BEST inspires in Bulgarian youth and is excited for the opportunity to contribute to the future of the organization. Angela Rodel came to Bulgaria on a Fulbright grant in 1996, lured by the mystery of Bulgarian voices. Having fallen in love with Bulgarian folk singing and Bulgarian language, she decided to make Bulgaria her permanent home as of 2004. In recent years, she has become a leading translator of Bulgarian literature into English, with seven novels published in the US and UK, as well as plays, poems and essays by leading Bulgarian writers. She is now executive director of the Bulgarian-American Fulbright Commission. At her first BEST tournament two years ago, she was blown away by the students’ talent, intelligence and artistry – and immensely proud of the Fulbright/ABF ETAs who founded this wonderful organization. Mark Leonard was born and raised in Kansas, where he competed in speech and debate in high school and in speech in college. Since then, he has judged competitive speaking events at both high school and college tournaments in the USA. He has been a judge for BEST Foundation events since the first annual tournament. Mark is Associate Professor of Economics at American University in Bulgaria. Mark makes daily use of his prose and poetry competition skills while reading to his daughters. Ronald Harvey earned his PhD in Community Psychology from DePaul University in Chicago in 2014. 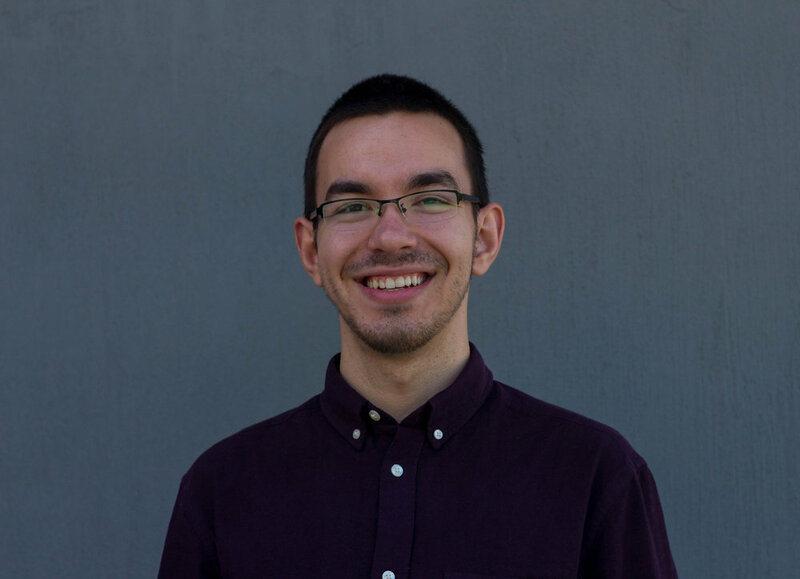 He is a two-time Fulbright recipient to Bulgaria (2009 and 2015) where he did research and implementation of recovery housing for former drug addicts in Sofia and Varna. He is current Assistant Professor of Psychology at American University in Bulgaria. He is also a trained long-form improviser and teaches English-language improv comedy as part of “Shizipro” Comedy Theatre in Sofia, Bulgaria. Dr. Harvey has been involved in BEST Foundation competitions as a judge and speaker since February, 2016. He has also had the great fun and privilege to lead a number of improv workshops for BEST teams and BEST ambassadors in Montana, Stara Zagora, and Sofia. Ivan Dimov returned from New York to Sofia in order to establish Single Step Foundation in 2016. His professional career is in the field of finance: as an investment banker and investor in New York, Buenos Aires, Argentina and Sydney, Australia (Credit Suisse, Gramercy Communications Partners, Lazard) in the media, telecommunications and technology sectors. Ivan is a former CFO of Edamam, which provides nutrition data services and value-added solutions to health, wellness and food businesses. He is also the former Chairman of the Board of Netinfo. Ivan is a keen marathon runner, CrossFitter and world traveler. Val Nikolov is from Burgas, Bulgaria and was an active member of a non-profit focused on educational and environmental projects in high school. A life-long believer in the power of intellectual inquiry and critical thinking, Val is excited to share his expertise in planning, analytics, and strategy towards advancing BEST’s mission. Val holds a BA in Mathematical Economics from Colgate University and an MBA from Northwestern University. A former economic consultant in Boston, MA and London, UK, he is currently living in Austin, TX where he is a Sales Analytics and Planning Manager at Dell Technologies. Tyler Donahue is currently the Director of Market Development at Yext and has been tasked with leading Yext’s go to market efforts in Japan. Prior to helping to open the Tokyo this past July, Tyler ran and managed all Data Partnerships for Yext for several years and was a crucial part of expanding Yext’s business into Europe. Before Yext, Tyler spent time working in the bagged salad industry with Chiquita, as well as working with a small grassroots organization in Kenya. He has a double degree in Mathematics and Economics from Duke University and served as the Blue Devil Mascot while there. Ettie (Tzvetelina) Nikolova graduated from Cornell University with a B.A. in Government and Russian Literature. After graduation, she lived in the Republic of Georgia, Taiwan, and Bulgaria, where she taught English at Bertolt Brecht Language Academy (located in the best city in Bulgaria- Pazardzhik). In 2015, Ettie left Bulgaria to obtain her Master’s in Business Administration from Yale University. Although she no longer lives in Bulgaria, Ettie’s heart will always be with BEST and her former students. She is excited to watch BEST continue to grow! Michael Pelehach is from North Carolina where he studied Psychology and Markets & Management at Duke University. After graduation, he spent four years working for Target Corporation in Minneapolis, MN. In search of more meaningful work, he accepted a Fulbright Grant to teach English at Peyo Yavorov Languages High School in Silistra, Bulgaria. Michael is currently pursuing his Master’s in Business Administration at Northwestern University, where he is learning to apply business principles to solve social problems.